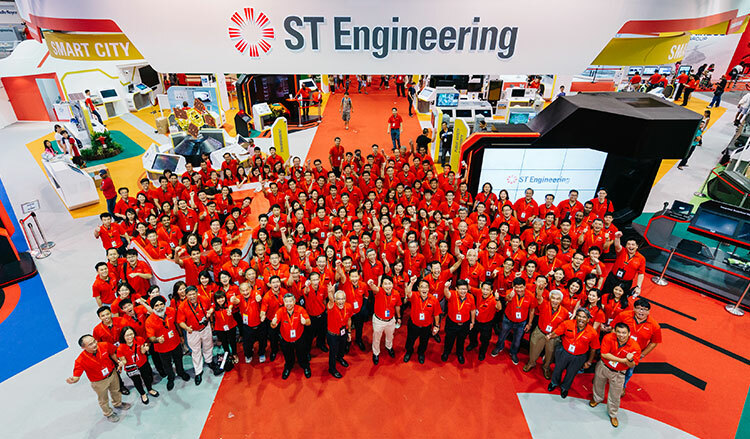 ST Engineering is a Singapore-homegrown engineering group specialising in innovative solutions and services in the Aerospace, Electronics, Land Systems and Marine sectors. ST Engineering was formed in 1997 and has grown to be one of Asia's largest defence and engineering groups, to date. A leader in each of our sectors of business, we offer integrated and innovative solutions for our customers in both commercial and defence organisations in over 100 countries. We serve them through a global network of over 100 subsidiaries and associated companies in 46 cities across 24 countries in the Americas, Asia, Europe and the Middle East. The cross-feeding of engineering capabilities and technologies across our aerospace, electronics, land systems and marine businesses, underscores the Group’s capability to address our customers’ changing needs. These will only be possible with our most valuable asset - about 23,000 employees across the world. People are our greatest asset and we seek to empower every individual to be the author of their own ambitions, grow with us and fulfil their fullest potential. In ST Engineering, we understand that innovation is not just about technology, it comes from the minds that drive it. LTA Overseas Scholar Jonathan Lee tells us about the exciting opportunities he has received with LTA. Enjoy the benefits of BrightSparks!